Ex-Geordie Shore stars Holly Hagan and Kyle Christie took part in the MTV show Just Tattoo Of Us, which sees the two designing tatts for each other. Buuuut Holly is not happy with what her on-and-off boyfriend designed for her, and we don't blame her, it's a shocker! 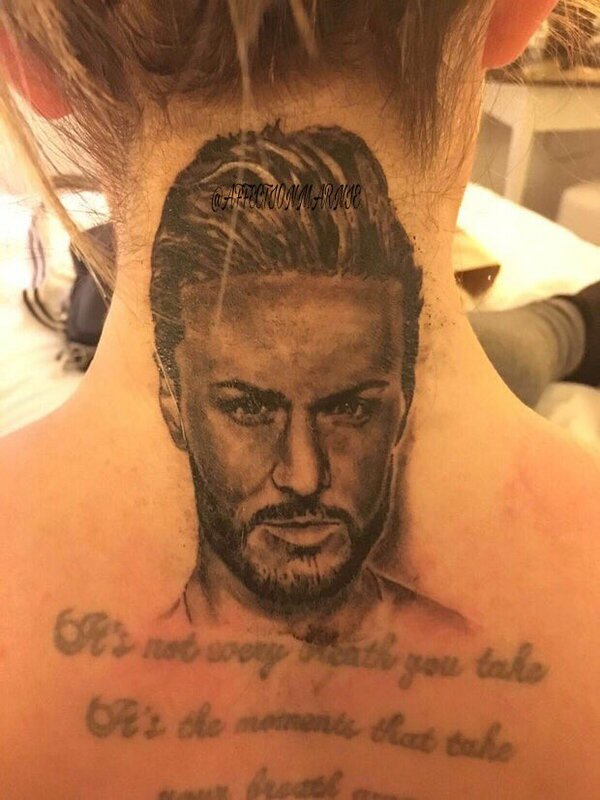 Yup, that is a tattoo of Kyle's face across the whole of Holly's neck. Holly is obviously regretting her decision, as a source has said: "While Holly put a lot of thought into her tattoo for Kyle, designing a meaningful pattern, he took a different approach."